This Sunday the 25th of October marks Mother-in-Law Day, an annual celebration which is observed on the fourth Sunday of every October. Not quite as well-known as either Mother's Day or Father's Day, Mother-in-Law day is nonetheless a legitimate holiday in its own right which has been celebrated since 1934. American in origin, the holiday was created by the editor of a local newpaper in Amarillo Texas. One does wonder what led him to initiate such a holiday - was he in the doghouse with his own mother-in-law? Or maybe we're just being cynical. Irregardless of its origin, Mother-in-Law Day continues to be celebrated right up to the present day, over 80 years since its inception. There are lots of different ways you can honour this holiday and pay tribute to your own mother-in-law. Why not take her out to lunch or invite her over to your home for a meal? Or you could plan a day out somewhere such as the cinema, theatre or local botanical gardens. Mother-in-Law day gifts are another increasingly popular tradition. If you know anything about her interest or hobbies it's a good idea to get her something associated with these as it shows thoughtfulness and consideration. If you're not sure what to get, you can never really go wrong with a fresh bouquet of flowers. If you can't be there to personally present them to her personally (if you live too far away or have prior engagements for example), why not arrange to send flowers to your mother-in-law with Clare Florist. If you really want to get in her good books you could even send her one of our luxury flower gift sets which is comprised of a bouquet of flowers, a box of Thornton's chocolates, a handwritten card and a chic glass vase. Our Thanks Mum! Gift Set was originally designed for Mother's Day, but we see no reason why it can't be gifted on Mother-in-Law Day. The bouquet included with this luxurious gift package consists of fresh roses, germinis, iris, santini and alstroemeria, all complemented by lush green foliage. 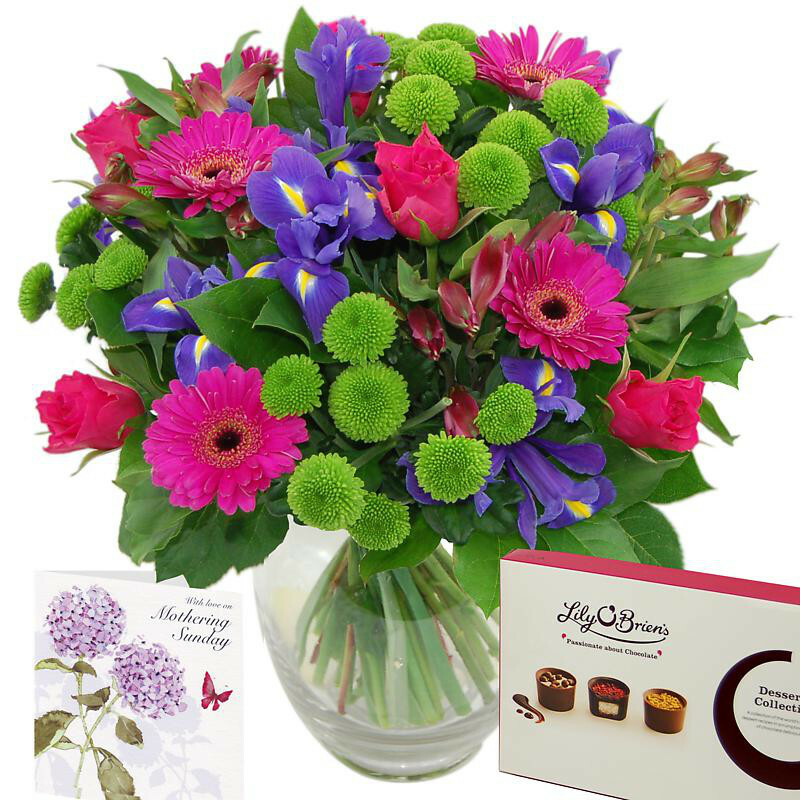 A colourful sensory feast, this vivid bouquet will hold pride of place on your mother-in-law's windowsill or coffee table and is sure to win you an enormous amount of brownie points. As is the case with all of our gift sets, this comes with chocolates, personal handwritten card and a vase to display the flowers in, all for just £49.49. Absolutely free next working day delivery is included or you can even have them delivered on the Sunday for a small surcharge, ensuring they arrive on Mother-in-Law Day itself.